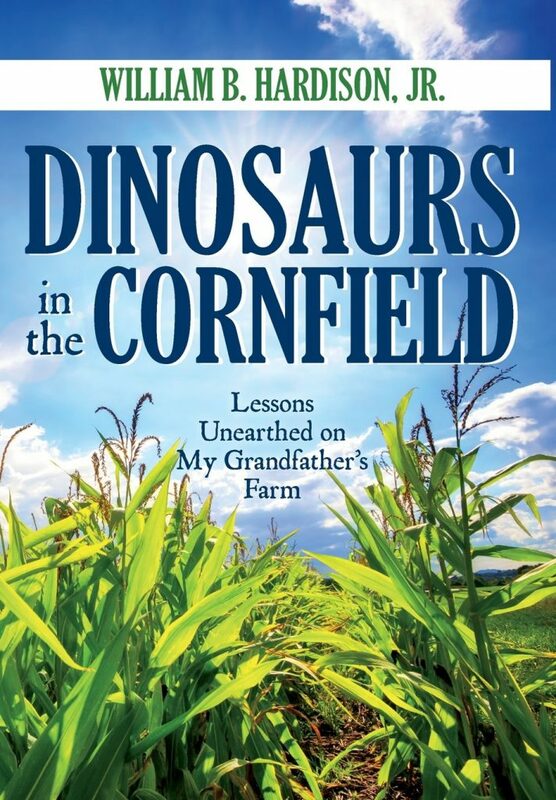 William B Hardison will be signing copies of his book “Dinosaurs in the Cornfield” in Richmond, VA this month. William Hardison is a retired minister and former adjunct professor of Christian Spirituality at Baptist Theological Seminary in Richmond. Known for his gift of vivid storytelling, he is a member of the National Storytelling Network. Dr. Hardison is a contributor to Character.org, a nationwide movement bringing fresh attention to the development of character in the lives of children through education. Dinosaurs in the Cornfield is his first book and deals with the development of positive character traits learned through the telling of legacy stories. Dr. Hardison lives in Richmond, Virginia with his wife, Carolyn. You can visit the author on his website: www.williambhardisonjr.com. For young Billy, summer means saying goodbye to city life and traveling seven hundred miles to visit his grandparents on their Tennessee farm. It means long, humid days of snapping beans, milking cows, hunting for fossils in rocky fields, and trips into town for ice-cream sodas and comic books at the five-and-dime. It means muggy nights spent on the front porch with family, the boys gathered around the big Philco radio, listening to The Lone Ranger over the low hum of crickets. But most of all, summer means time spent in the long shadow of Grandpa, a massive Welchman, keenly observant, frugal of words and actions, but rich in experience and country wisdom. On this remote patch of farmland, Grandpa’s word is law. When you look back on your childhood, what long-forgotten treasures might you unearth?